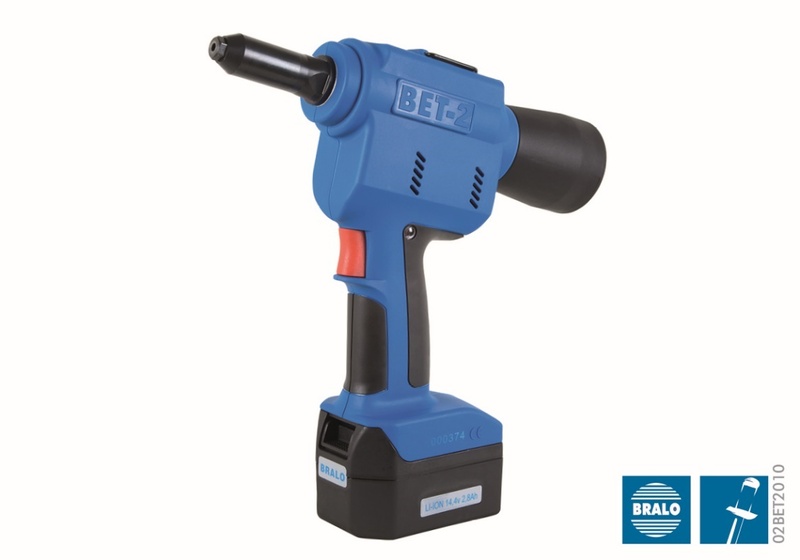 The Bralo BET-2 riveting tool is light weight, easy to use and easily stored. It is portable and has high performance technologies. It is designed to meet the needs of the most demanding applications. The tool has an operating weight of 1.690 gr. Riveting capacity of up to 6,4 mm, 6,5 Structural rivets und 7,5 S-Trebol rivets. Application field: Up to 6,5 mm, 6,5 structural and 7,7 S-trebol. The Bet-2 Battery tool is supplied with a solid carry case complete with battery charger. It is available with one or two 1,4 Ah batteries. We can also provide a supplementary 2,8 Ah battery.